Free Pinewood Derby Tips curtosy of Derby Dust. This is a 10 minute read. Sorry about this, but a lot of words. Don’t waste cash on packaged tips and tricks until you read all of ours for free! Video of this is posted on YouTube. Its posted at the very end of this article. Long process by words. Not so bad watching the video. Without getting into all the fancy scientific answers, the plain and simple reason to tune a pinewood derby car is for speed! There are many different ways and theories out there. From wax paper to set screws. We like our method the best which shows your car traveling at its near top speed in a static setting. Utilizing a treadmill, you can see your car at its top speed while making all the necessary real-time adjustments. NO NEED for a PLASTIC test track! Don’t own a treadmill? I bet you know someone that does. Buy them dinner, use it for an hour or two. Beg, Borrow, Barter. Do what it takes to get your win! 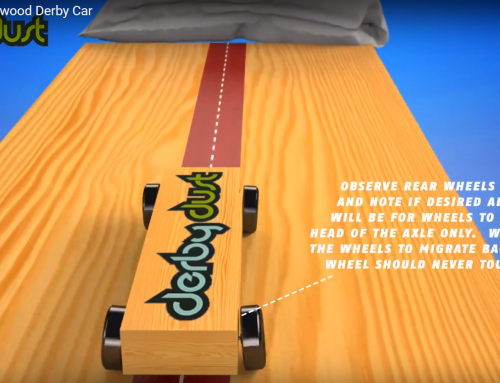 Because a pinewood derby car is only powered by its stored gravity at the top of the track, you must tune your car so that it will use that stored energy to get the car to move down the track. 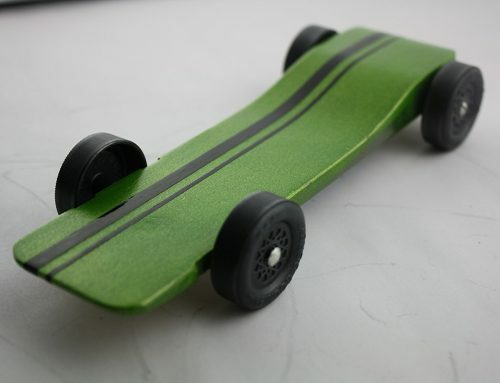 If this is your first derby, or your last derby, take a few minutes to educate your self about TUNING a pinewood derby car. Tuning your car keeps the car moving forward. That is the ideal direction. A car that travels side to side, bumping each side of the car will not get you in the winner’s circle. A car that fish tails will not get you in the winners circle. Grandpa’s car wins because he puts the time in making sure the car does not do this. There is NO aftermarket part that will replace this step in building a car. When you bent your axles. 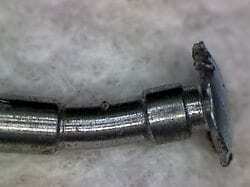 Did you gap your axle prior to bending? Otherwise your bend will begin somewhere inside your wheel hub which will cause all sorts of chattering and aligning issues. TUNING YOUR PINEWOOD DERBY for the WIN! 1.5 or 2.5 degree bends? A problem is with a 2.5 degree bend you have basically 30 degrees of rotation or less to get it to ride on the axle heads. It’s just a really sharp bend. If you want to bend 4 axles, I like doing 3x 1.5 degree bends. If you need a 2.5 degree bend, make it your front steering wheel. 2.5 degrees in the rear is not really necessary. We even do straight axles and just angle them in the BSA slots. Setup: Install the wheels and axles on the car, use the gap gauge to properly gap wheels. Mark the 12 o’clock position on all wheels with sharpie, depending on setup. Tape the string on the center of forward kick plate of your treadmill, and tape it to center on the front of the car. Dust the wheels and axles with Derby Dust Dry Lube. Turn the treadmill on. 1-2mph at first. If incline is available, 1 degree would be great. Note the characteristics of the car. If it is swerving all over the place, there is a lot of work to be done. If it pulls to one direction or the other, directional tuning needs to be done to get to a slight deviation off center for a center rail rider (3 wheels) or center (4 wheels). The goal is to get your car to deviate just slight off center to make a center rail rider or straight down the middle if you have one of those type of races. Using pinewood derby tuning pliers, make an adjustment on a single axle turning 1/8th of a turn or less until you have made up to one complete rotation. If no change in deviation, then move to another axle on the car, and repeat process. Continue this process until you get the car to be off center or straight down the middle, depending on your car and race scenario. 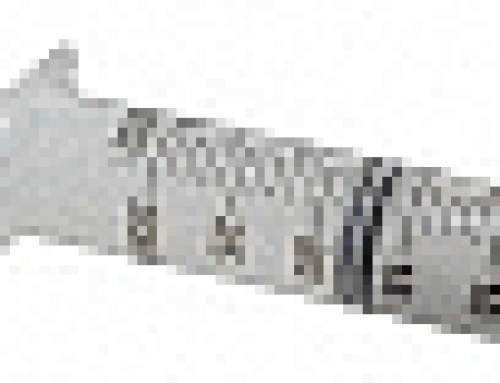 If no change is noted after adjusting all axles, then you will need to bend one axle. 1.5 degree would be best. I would install that axle on the front. Repeat tuning process until deviation is obtained. If no change, make sure the bent axle is touching the ground. If so, then the bent axle needs to be moved to the rear side of the direction of deviation and then tuned. If no change is noted, move axle to opposite side of car. Bending more than one axle is counterproductive. 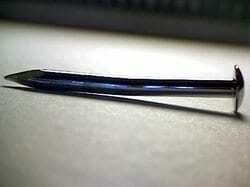 If you car does not respond to tuning with just the bend of one axle, think about making a new car. Point being, if your inspections requires pulling of axles, and you have more than one axle that has to be bent, there is a greater chance that all of the tuning work will be ruined. Once tuning is complete, turn the treadmill up to as fast as it will go. Your wheels are not going to burn up! Now observe characteristics. Note if wheels are running the way you want them to i.e. rubbing on the outer wheel hub, running in the middle of your axle, rubbing against the body. Adjustments will need to be made if not satisfied. A wheel that rubs on the body needs to be bent upward. A wheel that rubs on the axle head, needs to be bent downward. At top speed on treadmill, you will be able to visualize the performance of the car. This method is better than any “tuning board” every day of the week. Once you are happy with the wheel play, then it is time to start building up layers of dry lube. Add a LIBERAL amount of dry lube to all running wheels as it is traveling every 45-60 seconds. Continue this process for 10 minutes. 10 minutes at top speed should yield the equivalent of approximately 400-500 races. Using rubbing alcohol applied to a rag, remove the marks on axles without getting alcohol into the hub, then reapply new marks back in the 12 o’clock position. If you had to bend an axle, then be sure to make a mental note which one it was or mark it on the bottom of the car, and BEG your inspectors not to pull it. After the 10 minutes and the final marking. PACK your car up, and do nothing with it until race day. If you have to pull an axle, be sure to return it to the exact spot. No other lubing is necessary. We have not seen any data that shows any additional lube after this point helps. What you have done by doing this process is used the cars weight under load to “roll” multiple layers of lube on the axle and wheel. You have also tuned your car to eliminate fish-tailing and gain greater speeds for your derby car way beyond a simple dust/ finger roll job. We have decided to share our research with you. This technique does not require a “drift” board, it does not require a test track, and it does not require a great knowledge regarding polishing techniques. 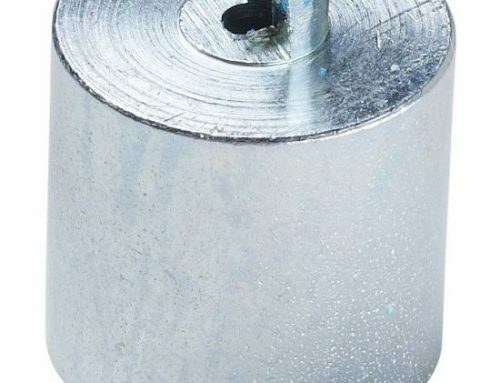 It does build layers of near frictionless surface on both the axles and inner wheel hubs that is good for many races. This process is very hard to describe with words, and our video will show you how simple it really is.